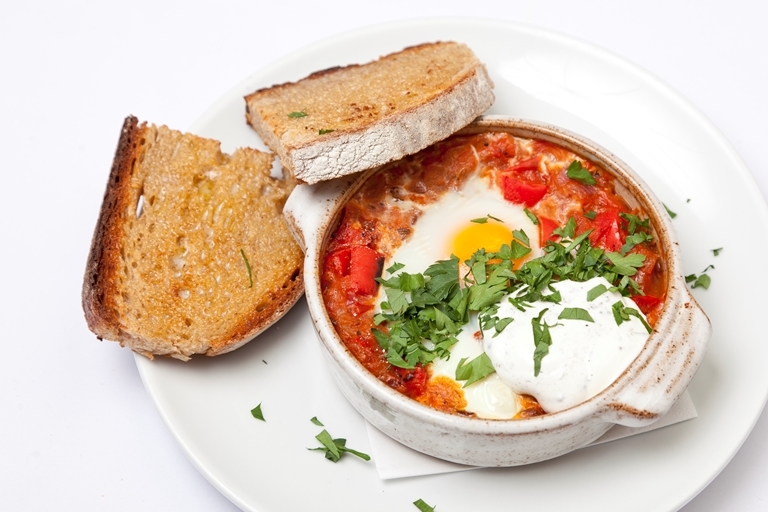 Turkish menemen is a popular breakfast dish usually served up in the centre of the table for a large family or group of friends to share. It is a one-pot dish of eggs, onions, tomatoes and spices. Chefs often personalise the dish by adding their own accompaniments, and that's exactly what Anna Hansen does in this menemen recipe - serving with a sumac yoghurt to soothe the heat of the eggs.